Want to book one of the Fishersville Library meeting rooms? Contact Ali McCue at (540) 885-3961 or amccue@augustacountylibrary.org. You can also immediately submit your application online — Ali will contact you when she receives it to confirm your reservation. Availability is shown on the calendar below. 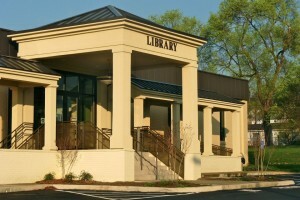 The Fishersville Library is the main location of the Augusta County Library system. 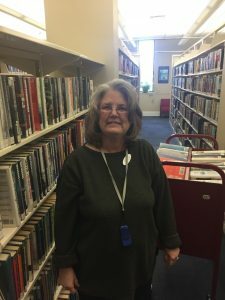 It also plays host to the Augusta County Genealogical Society, which provides a volunteer-run collection of local and family histories for public use. Please visit their site for more information about hours and research assistance. For your convenience, an exterior, drive-up book drop is located at the end of the library as you proceed through the one-way drive. You can return items any time of day, even if the library is closed. For Children’s Department information, please see our Children’s Department Page. For Teen Department information, please see our Teen Zone Page. The adult department comprises a wide variety of fiction and nonfiction works, with special sections for fans of sci-fi, westerns, short stories, and biographies. Large Print materials are also readily available for those needing larger and clearer text. You will also find a small collection of paperback books and puzzles to borrow! Our local history collection is located upstairs in the mezzanine and is accessible beyond the Genealogical Society’s hours. Computers, laptops, and study tables are available for use throughout the department. If you find yourself in need of assistance, stop by our Help Desk and talk to one of our staff members for personalized aide. We’ll be happy to help guide you on the computer, suggest a good book to read, or find information on a topic that interests you. You can also contact us via ask@augustacountylibrary.org. the children’s staff is wonderful.